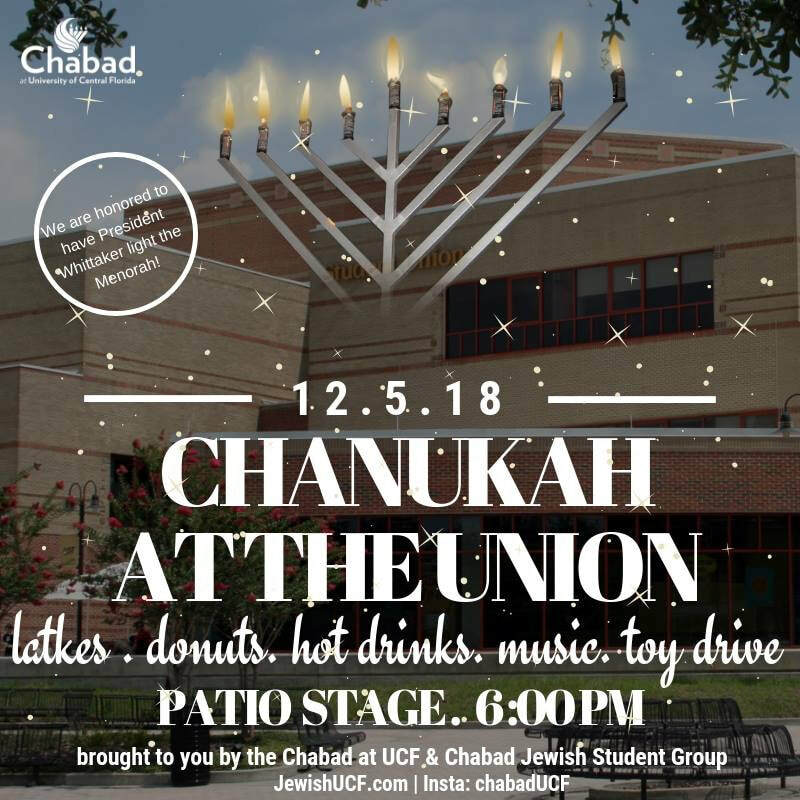 Please join us for our 13th Annual Menorah Lighting and Chanukah Celebration!. Come and spend time with family and friends and make new friends! This is an event that is perfect for all, light refreshments, and more! We are privileged to live in a country where freedom reigns. Let's Light it Right in the Night!! Please join us! 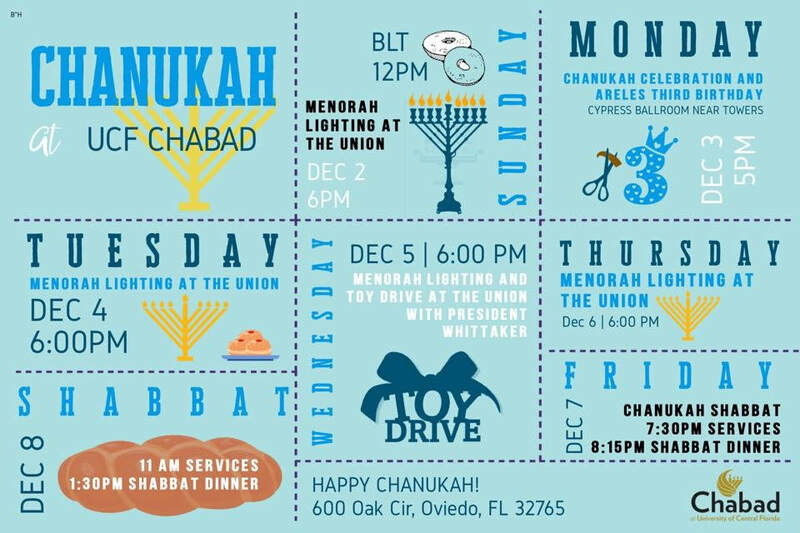 Take a break from cramming for exams and celebrate Chanukah Chabad style! in the words of Adam Sandler "instead of..... 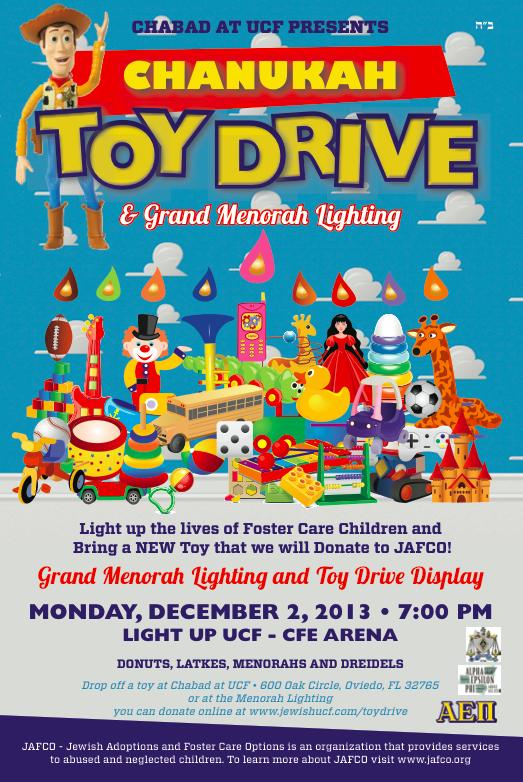 EIGHT CRAZY NIGHTS"
Chabad will be distributing Menorah and Candle kits to any one in need of a Menorah. Contact us by clicking here to get your FREE Menorah kit.